Today's Amazon wishlist is for the cat lover out there. There's a lot of cat lovers in this world, and I'm happy that I'm one of them. They're just irresistible. Am I right? I picked out these wonderful little things from Amazon to give you some ideas for your Christmas shopping. 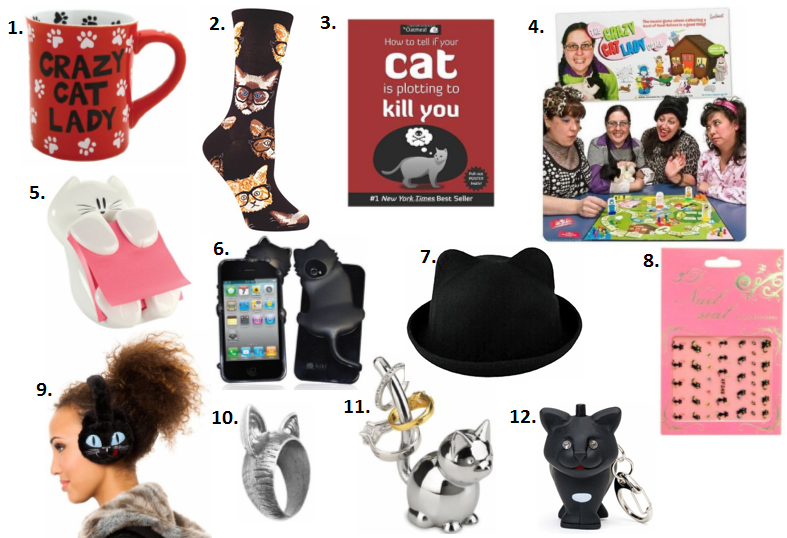 What cat lover wouldn't want one of these items as a gift? I know I wouldn't be able to refuse! You can use these ideas for any men in your life that love cats. Instead of doing girly things, you can use this as inspiration for more manly items. If you're not a cat lover yourself, or don't know a cat lover, don't fret because I'll have a dog lover edition coming up. So, stay tuned!